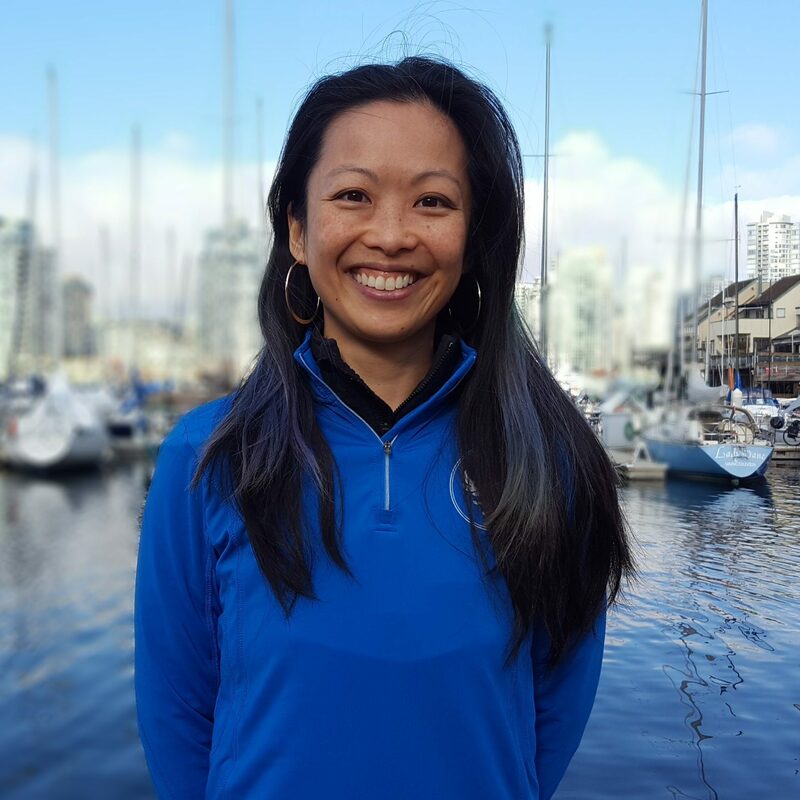 Le Physique | Vancouver Personal Training | Does caffeine help or hinder your performance? 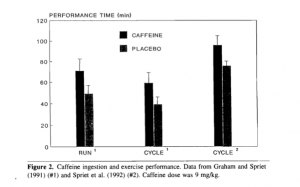 Does caffeine help or hinder your performance? Does caffeine help boost workout performance and results, or is it a double edged sword that is causing as many problems as it proposes to solve? The obnoxious blares of your alarm clock abruptly jolt you conscious, and you begin to feel a profound contempt for your past self who deluded you into thinking that 5 hours of sleep was sufficient. You brew yourself a cup of coffee just to survive the commute to work, and drink another at 2 pm to combat the early afternoon crash you’re experiencing. By quitting time you’re utterly exhausted; physically and cognitively drained, and your lackluster disposition gives your bed an irresistible allure, almost cartoonish, with its beckoning sheets and enticingly fluffy pillows. But no… you’re a warrior… so you kick those feelings of lethargy to the curb by taking a few swigs more of coffee before making your way to the gym to feel that pain and make those gains. Of course, this begs the question “What happens when I ingest caffeine prior to exercise, at a physiological level? …Are all the resultant physiological processes desirable? 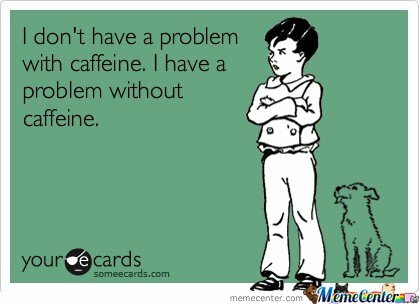 …Does caffeine have a substantial stimulating effect not restricted to our cognitive acuity?”… Wonderful questions everyone! Oh how I’ve been blessed with such an intuitive audience. 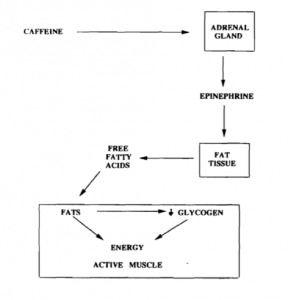 Caffeine as an ergogenic aid (ergogenic substances may increase capacity for bodily or mental labor especially by eliminating fatigue symptoms) is still undergoing investigation as to whether the enhancing effects are consistent, and if so, if it’s ethical to utilize them for competition purposes. Furthermore, there have been proposed pathways that infer disadvantageous physiological responses that may be a detriment to exercise and performance. To delve further into the effects of 1,3,7-Trimethylxanthine (chemical IUPAC name of the caffeine compound), it has a much more profound physiological impact than just temporarily waving cognitive fatigue and invoking mental acuity. The benefits of caffeine, and its performance augmenting effects have been investigated rather intensively in the past, and one of the major finds has been that ingestion of this compound instigates metabolic substrate shifts, more specifically that it boosts fat catabolism and utilizes less of the muscle glycogen stores. 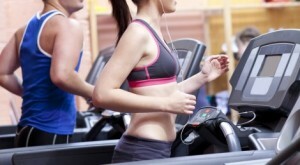 The pathway in which this occurs is really quite fascinating; as plasma caffeine stimulates the adrenal medulla to secrete catecholamines, subsequently, this triggers the lipolysis (“lipo-” referring to “fat” and “–lysis” referring to “breakdown of”) of fat tissue therefore elevating the free fatty acid concentrations in the blood. More fat is oxidized as a result of the recruited muscle utilizing the free fatty acids for ATP synthesis, and glycolysis is suppressed. Competition-wise, studies indicate that this magical supplement will increase the duration of time which an individual can endure exercise before experiencing fatigue, while also increasing the generated power output for a given work time; incredibly eye-opening, isn’t it? Athletes have long since used caffeine accordingly, to boost strength performance, quicken reaction times through potentiating mental alertness, and increase endurance and time until exhaustion. Why is this controversial you may wonder? If you envision athletes who compete to be gamers controlling characters in an MMORPG (massively multiplayer online role-playing game) competing for renowned status and professional gaming endorsements, winning matches will tend to dictate success in this cut-throat industry (much like athletes in their respective competitive context). Success is determined by a myriad of factors, such as tactical prowess, experience, adaptability etc., but one of the most fundamental determinants is how the gamer (the metaphorical athlete) allots his/her basic ability skill points (the metaphorical training involved in progression). Now everyone will often have the same number of skill points to allot towards their characters stats (strength, agility, vitality etc. ), of course unless they play so much and train to the point where they ascend to a level beyond their peers (for instance Usain Bolt relative to other competitors), and resultantly have more skill points. Now there is an ability booster (caffeine) that is available to everyone who competes, however this ability booster has a bias, and will not boost the abilities of every character identically, meaning that the effects are variable to the individual. This of course will cause unequal footing for some characters and prove to be more advantageous to some more than others. Even if the effects are minimal, this skill point boost can prove to be what pushes the character’s abilities over that of the other competitor’s and allow them to win, which definitely does not seem fair. 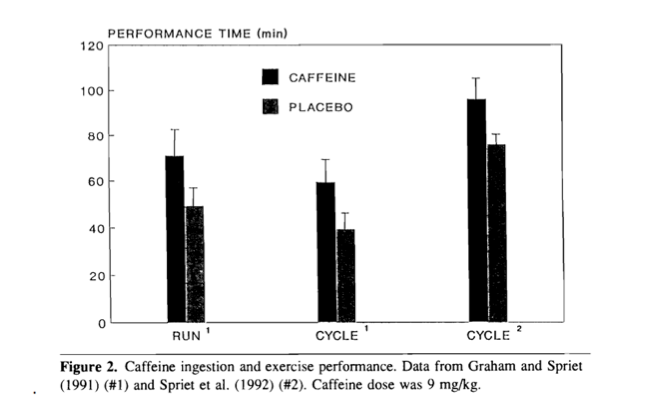 Similarly, athlete’s use of caffeine in this manner can be seen as controversial because it can be likened to the aforementioned ability booster. It can allow individuals to achieve more than they’re able to without it, so can it be comparable to the use of steroids? Sorry for the long tangent, but in essence, this finding makes it seem like ingesting caffeine before every work out should be one super-ultra-crazy-mega life hack that boosts our metabolic fat burning capabilities, but can it really be all good with nothing adverse? Let’s take a look at the fine print, shall we? One disadvantage that I’ll point out now is that the enhancing effects vary from individual to individual, so though it may shave off 3 seconds from your teammates 400 meter sprint time, it may only yield a 1 second improvement for you. 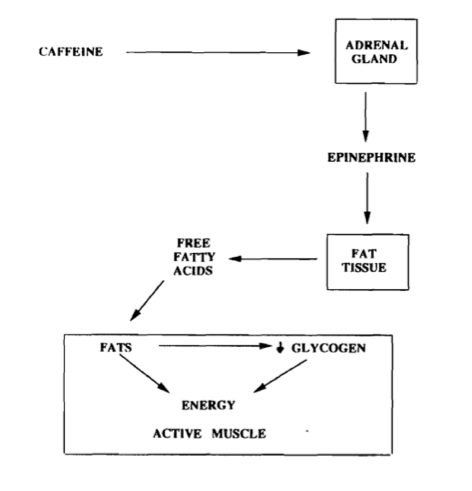 This variable effect is evident in past reports, which state that caffeine will frequently not result in elevations in plasma free fatty acids during exercises, therefore not promoting fat oxidation over glycogen usage. Before I continue with the physiology, I’d like to point out that individuals with high-stress lives will tend to depend on caffeine to compensate for their lack of sleep and consequently develop a desensitizing effect towards the drug, therefore requiring greater and more frequent doses to endure their days. Furthermore, as if chronic psychological stress does not stimulate enough secretion of catecholamines, caffeine will stimulate the adrenal medulla even more so, which can lead to conditions such as adrenal fatigue and hypertension, and on a more extreme note, even coronary heart disease. 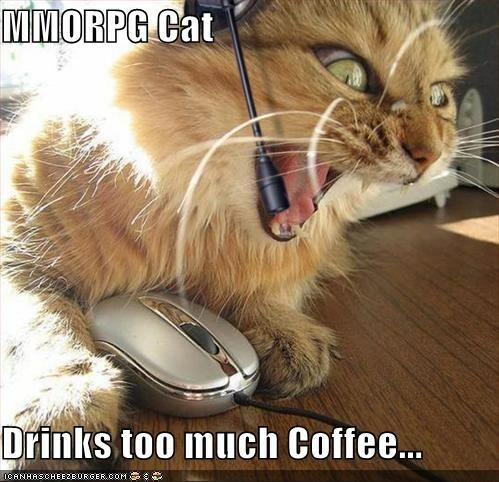 From a more broad/macro physiological vantage point, putting caffeine into your body causes your body to work harder to purge the substance from your system, resulting in increased heart rate, blood pressure, and kidney usage to produce more urine. A way that caffeine can be acting as a detriment to your body is through the use of pre-workout “super pump” products, where these powders are infused with caffeine as well as L-arginine. Our bodies use L-arginine to synthesize Nitrous Oxide: a vasodilator that signals the smooth muscles to relax allowing the blood vessels to dilate, which is basically the opposite effect of caffeine. This can cause the heart to have to pump harder and faster to circulate less blood (due to increased urination) through conditions needing to be met by the dilated blood vessels. Couple this stress on the heart with improper breathing and the Valsalva maneuver during intense weight lifting and the heart over time may begin to weaken. So, final words and opinion…? Of course everything we put into our bodies must be done so with discretion as to not abuse ourselves. Caffeine may be necessary for you to cater to your exercise schedule, and that’s perfectly fine, but just be careful that you don’t take excessive amounts just because you like the taste of coffee.